The more we work in a focused way, the more connections we build between ideas, and the better we are at making progress. But making connections isn’t just a model of expertise. It’s a model for a life well-lived. The longer we live and work in one place and the more effort we put into our communities, the stronger and richer our connections to community become. Consider Venkatesh Gopal, a Senior Technical Staff Member (STSM) working on Hybrid Cloud in in our lab near Kansas City in the town of Leawood, known not only for beautiful parks and trails but for a long-standing sense of community and inclusion. 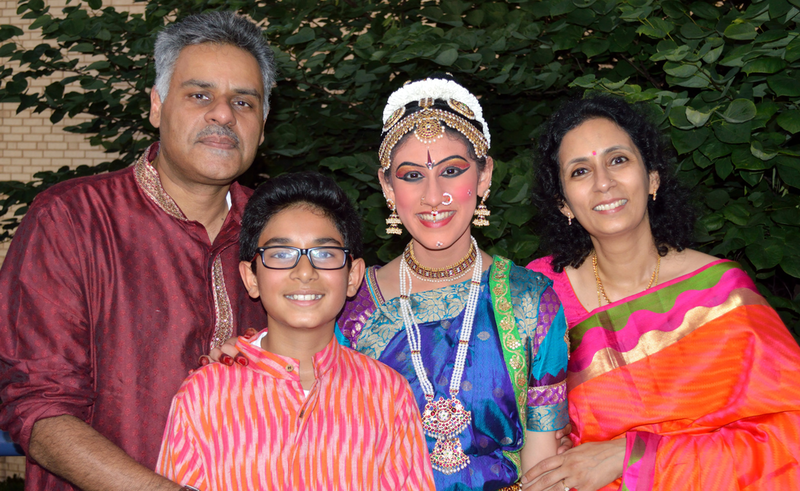 Venkatesh's knowledge has driven progress at IBM for 16 years — and his volunteer work and commitment to his local temple has strengthened a vibrant community of Indian-Americans in and around Kansas City. You came to IBM as part of the Informix acquisition in 2001. What was it like coming from a smaller company, focused mainly on one thing, to a company with many more people and a much broader portfolio? Interesting question. All of us were very passionate about Informix — but coming into IBM, we felt positive. We were happy about getting merged into a larger space, where we would get to integrate with other technologies and other products. It gave us scope to grow. That said, merging products can be hard: different code bases, different technologies. What worked for us was focusing on the customer. We made our goal to make it easier for customers to get their existing tooling and applications to work with Db2. That gave us clarity. ﻿I know you were also involved with Netezza, which an appliance story. With your experience across all of these efforts on data, where do you think it's going? There’s Db on cloud, transactional, object store. What do the next five years look like? A great question. I think customers want to keep one data lake, a single data store for all the data and just have a layer of microservices, which could be a warehouse or a data science application sitting on top creating smart models valuable for the business. And they want all access to be transparent. We’re heading toward making data separate from compute and easily accessible through microservices. The challenge though is to deliver painless scale, upgrade, and RAS — reliability, availability and serviceability features. And now, we’re getting to a common platform in both private and public cloud, and then every microservice can exploit the platform. The big advantage is we don’t need to build different form factors of micro-services now that we have a common platform. Our key advantage is performance. We’re already incredibly fast, but there are two dimensions to the performance. I believe we could beat the competition when most of the data fits in memory, but we need to improve the storage model so we can cache data in a smarter way. ﻿Let’s switch gears a bit. What do you do outside of work, for fun? I love running; I head out three or four times a week, especially in the summer. It’s beautiful. I don’t listen to music or books when I am running. I just want to connect to the outside as much as possible. But the bigger thing that I do is spending time at the local Indian temple. I volunteer quite a bit there, including most of my weekends and whenever they need help. 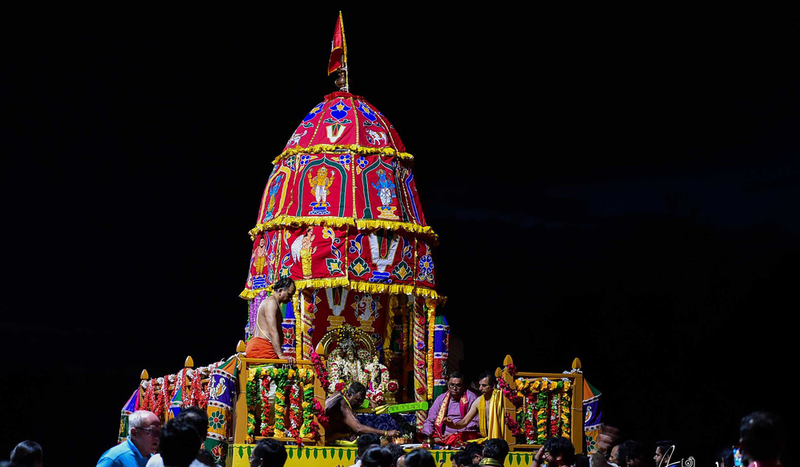 It’s a big community — about 15,000 Indian-Americans in Kansas City and the suburbs, including Leawood. What’s meaningful to you about volunteering at the temple? A few things at once. It’s about connecting to tradition and creating a sense of continuity from my parents to my kids. And a lot is about connecting to community. Volunteering can be about a specific temple activity or just going in and helping out. We had the Indian consulate delegation come last week, so we helped with that. We work with Harvesters to collect food and other necessities and then distribute them at the temple. If I can feel that I’ve spent my time in a worthwhile way, that gives me joy. Home Town: Overland Park, Kansas , and in India, Hyderabad. Currently Reading: Crime Fiction by David Baldacci and Michael Connelly and Hit Refresh by Satya Nadella.